You are invited to attend & participate in the subject meeting @ the Bridgewater Library @ 1 Vogt Drive, Bridgewater NJ 08807 on Tuesday August 3 starting @ 6:30 PM. The purpose of the meeting is to bring all FairTax & tax reform candidates in NJ who ran for public office in the last year together to honor them & to develop the most synergy possible going forward. Eight such candidates accepted my invitation to participate in this meeting. 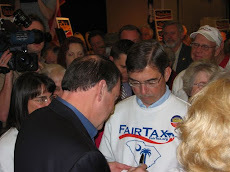 There are two candidates - Mike Agosta & Anna Little - both of who will run in November on the FairTax after endorsing the FairTax during the primaries so it is important to maximize our efforts in spreading the word for these two candidates. This is your chance to personally meet these high energy people who unselfishly ran for public office to defend all of our liberties. You will never get a better chance than this. Please feel free to bring guests to the meeting - just let me know how many people you are bringing because in addition to being the host I am also the janitor who has to prepare the room & clean it up. 4. Frelinghuysen, Lance, Garrett - no support of FairTax from them. 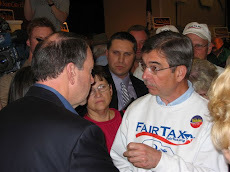 John Boehner's call against the FairTax. 5. Discussion of attack ads used in other states against FairTax candidates. PA's negative experience & GA's positive experience. What was the difference in these results? 8. FairTax NJ will stand behind the active candidates as a resource ready to help. Private training sessions planned - seminar or moot court - candidates' preference of format. Looks like you two are stepping up to the plate to take action by offering your hospitality to the FairTax candidates and supporters. Hope the evening is a huge success! Through No Fault Of Their Own?